Joomla, being a most powerful and robust open source content management system, is much liked by users looking forward to content publishing on the Internet. It is built on PHP and requires the use of completely object oriented programming technologies. Most people look forward to create Joomla shopping carts as it offers easier and most flexible solutions. Whether it is content publishing, integration of other apps with this amazing CMS or it is eCommerce development, one simply loves it because of its being excessively simple, amazingly user friendly and of course completely cost effective system which is capable of meeting almost any business requirements. It is a favourite of most developers as it comes loaded with various in-built plug-ins that make the entire development process handier and gives great results. At Adaptative, our team of developers has a perfect knack for developing almost every kind of Joomla based sites and apps. Building sites and apps completely based on functionalities and flexibility of this unique content management system, we aim at providing you with services that offer high return on investment. Providing you with our unique solutions, we focus on integrating quality design, powerful code, and best possible usability with the perfect combination of classiest aesthetics and robust technology. Whether you're looking for web design or complete development services, our expert team is always ready to provide you with effective and efficient services based on this remarkable CMS framework that not just has great capabilities but also offers special extensions/components that come fully loaded with amazing capabilities and usefulness. Being a free open source tool, it is found quite reliable to use and at the same time it turns out to be most dependable when you aim at creating blogs, sites comprising of multiple languages, interactive portals, and numerous other online communities and eCommerce stores. Adaptative, as a leading web development company offers you with a wide array of services and solutions. Starting from designing to entire site building, you just have to name it and you’ll find that we offer it all! Our highly efficient developers have varied experience related to several industries that allow them to create components, modules and functionalities that fit perfectly well with your business requirements. Right from the consultation to the need assessment to the final phase of the creation we work in an entirely collaborative manner, maintaining perfect transparency by providing you with reports on regular basis. 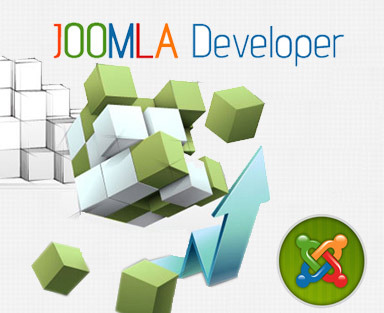 When you hire Joomla developers at Adaptative, you get high end solutions at most competitive prices and quickest turnaround time with a 24x7 technical support.